Japan Expo in Paris was once again a huge success this year. The event began on July 6th and wrapped up on July 9th. It was a spectacular 4-days of everything Japanese. Artists and companies made their way to France from Japan to deliver an experience replete with culture from the Land of the Rising Sun. The ‘randosel’ backpacks being sold at the AEON booth in the MOSHI MOSHI NIPPON (MMN) area proved to be very popular with children and adults like! Lots of people were able to come into contact with the Japanese randoseru, a type of backpack usually worn by Japanese elementary schoolchildren but also used as a fashion accessory and often seen in anime. They picked out their favourite coloured backpacks to buy and took photos at our designated photospot. The Marukome booth always has a huge line of people waiting for their serving of free delicious miso soup, and this year was no exception. People chose their favourite ingredients to put in their miso soup. There were people who came back for seconds, plenty of which bought some instant miso soup to take home with them. We effectively converted even more people into fans of tasty miso soup! People also watched the video we made together with Marukome and learned different recipes you can use to prepare miso soup. Everybody was able to discover lots of new flavours and combinations and had a really fun time. At the Nijigen no Mori booth was a promotional video for “Crayon Shin-chan Adventure Park” which will be located in the new theme park “Nijigen no Mori” opening in Japan. There was also a suit of armour based on the movie “Crayon Shin-chan: The Storm Called: The Battle of the Warring States” that people could wear and take a photo of which was a big success with people. Wa-suta, Niji no Conquistador, and THE HOOPERS who all performed at the event also came over to the booth to say hi. We had a big board displayed where people could write their own personal messages to Wa-suta. But on the final day of the event it was so full that we almost couldn’t put any more on! There were even lots of people that wrote their messages in Japanese. If you’re attending Hyper Japan this year then be sure to come over to play at the MOSHI MOSHI NIPPON booth! 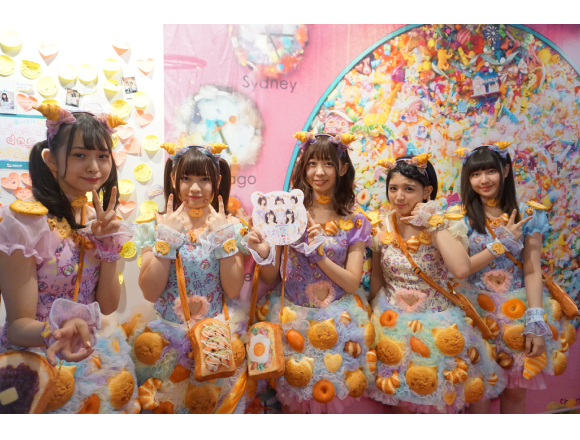 Related article：Interview with WASUTA – find out more about the idol group who will be performing at JAPAN EXPO!